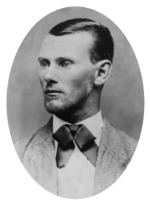 Topic: National Expansion & Reform: "Wild West"
The notorious Jesse James typically isn’t thought of in connection with Nebraska… but he was here. Nebraska was where the outlaw could find family and friends. It was where he could plan robberies, make a recovery or an escape, and even sit for his most famous photograph. He wanted to buy a farm here and some even say he started a family here! Author Jeff Barnes shares what’s known of the truth, the fiction, and the legend of Jesse James in Nebraska. Return to list of all Jeff Barnes' topics. Click here to download a printable PDF version of the Speakers Bureau Catalog.